What is the easiest way to implement a rubbing touch event similar to that in games such as Nintendogs? what is including in the sample in SDK only have flick,tap,shake event. To achieve something similar to the rubbing (loving stroke) in Nintendogs, the flickevent doesent seem to be relevent enough. Should I add the logic in TouchesMoved or TouchesBegan? And How should I do it properly? Another question would be, how do I loop an animation? (for instance,when I am rubbing one's head,the head down animation loops). I have an idea for the rubbing. I want to code it in to my game too as a small extra feature in a bonus mode, and this is how I will go for it. Maybe it helps you too, or you have ideas on how to improve it! 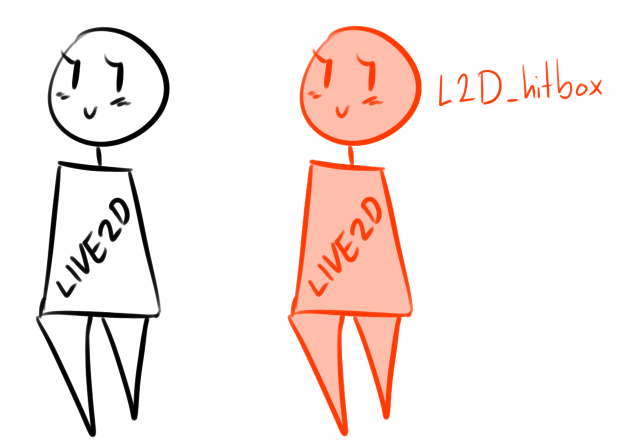 The Live2D model has a hitbox, which I'll refer to as L2D_Hitbox. We want to have our cursor always on it, so that we're rubbing the actual character. Then, when we click (MouseDown) and hold down the mouse to "rub", we want to displace the mouse from its original position. We can do this by making a circular hitbox centered at the initial mouse position, and waiting for the user to displace the mouse (while still holding down) off of this circular hitbox. All of this, while that the mouse is on L2D_Hitbox remains true. Thanks for the great answer! My I ask how you're preparing the 'L2D_Hitbox'? Are you modeling it in the Cubism Modeler? @andi[email protected] The sample applications already have a way to detect via code if the user has clicked on the character or not, one way to emulate the "L2D_Hitbox" would be via that (I believe that its coded as "Hit Areas"). Yeps, I'm modelling in the Cubism Modeller. Ah, sorry, I completely failed in asking what I wanted to: Are you modeling any 'hitboxes' in the modeler? Let's say, for example, in case you only want to have the head 'rubbable'.